To celebrate and showcase the fantastic positive impact our industry has generated, UnLtd has also announced the launch of the inaugural Big Dream event in partnership with the MFA. The event on 15 November will bring the entire industry together to celebrate the impact we’ve generated as an industry, hear from some of those young people whose lives have been transformed and to raise funds to help even more children and young people at risk. 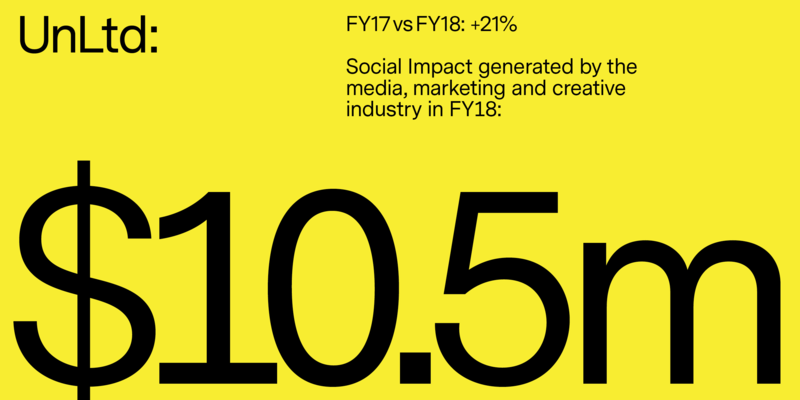 Danny Bass, CEO of IPG Mediabrands and Board Member of UnLtd commented: “Once again, our industry has shown its generosity with another record-breaking year in contributions to UnLtd’s charity partners. The Big Dream allows us to showcase the positive social impact we’re making each day and reward those that have truly made a difference. I encourage everyone in the industry to join the Big Dream to celebrate as an industry and to continue to make a difference in the lives of young people at risk.